Sleep Visual is run by Hugh Collier who literally lives, breathes and sleeps design. He loves what he does and takes pride in his work. No matter the size, he affords each project as much care and attention to detail as possible. He has fresh and exciting ideas with the creative and technical expertise to realise them. 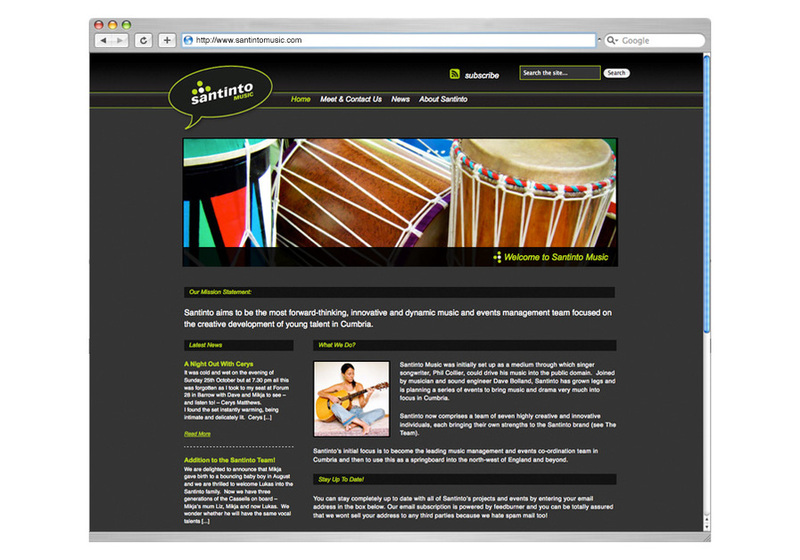 SleepVisual recently helped Santinto Music create their logo and website design.